Israel is the only democracy in the Middle East. Vibrant and prosperous, with robust economic growth over the last five years, the highest number of books published per capita in the world, and second place in the world in the publication of articles in scientific journals. Israel is a nation-state that grants cultural preference to the dominant nation while guarantying equal civil rights to minorities, just like other democratic nation-states such as France, Japan or Sweden. 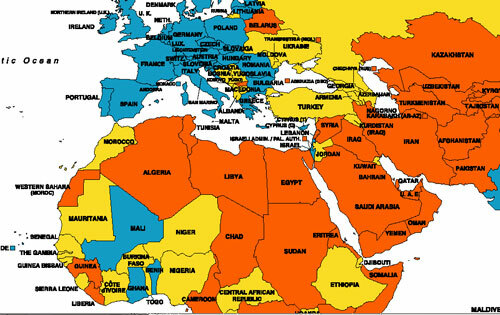 Of the original 1922 League of Nations Palestine Mandate to establish the Jewish National Home (120,000 sq km), Israel received only 17% (20,330 sq km), while Arab Jordan received 77% (91,971 sq km). Golan Heights (1,200 sq km): 1%. The remaining 5% are today the West Bank (5,860 sq km) and Gaza Strip (360 sq km) under Israeli or Arab Palestinian rule, their current status subject to the Israeli-Palestinian Interim Agreement, their permanent status to be determined through further negotiation. Their total area of 6,220 sq km is matching equivalent to a circle with a radius of only 45 km. This is 1/2400 (0.04%!) 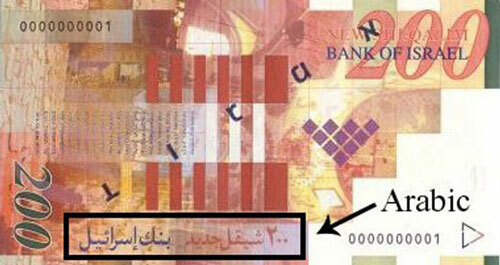 of the total area of the Arab world & Iran (15.15 million sq km). 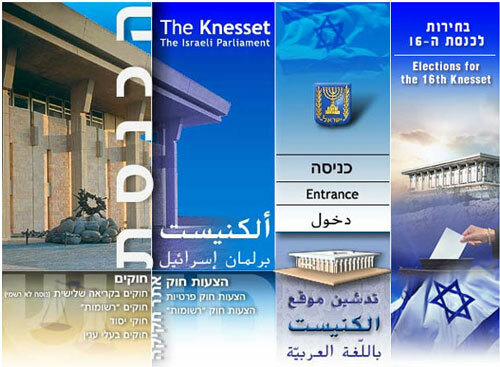 The sole Arab parties in the Middle East participating in free elections send members to the Israeli parliament (where they use the Western freedom of speech to critisize Israel and praise Iran and 22 Arab police regimes). The only freely elected Arab parliamentarians in the Middle East are members of the Israeli Parliament - in Jerusalem. The only court in the Middle East from which an Arab or a Muslim can expect justice is the Israeli Supreme Court - in Jerusalem - which is one of the most highly regarded in the world. Israel is the only place in the Middle East where an Arab or Muslim can freely criticize his government. The Jerusalem Times is published by Palestinians in Jerusalem - under Israeli rule. So do Al-Quds, Palestine Report, and others. Ironically, the only free Arab press in the Middle East is published in Israel. The Israeli freedom of speech allows Palestinian journalists to criticize Israel and praise Arab police states, tyrannies and theocracies. 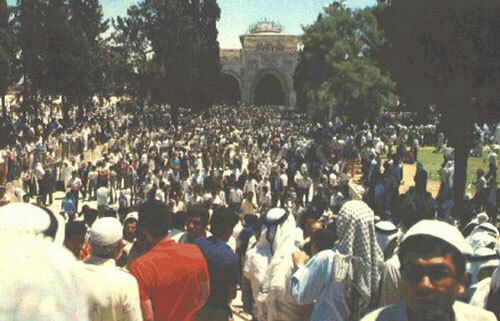 Palestinian National Authority Official Website, Jul 2, 2003: "President Arafat Condemns Israeli Decision to Allow Non-Muslims into Al-Aqsa ... Officials from the Waqf—the Islamic trust running the site—banned Jews and other non-Muslims from visiting the site ..."
The Muslim Claim to Jerusalem (Daniel Pipes): "The Jewish connection to Jerusalem is an ancient and powerful one. Judaism made Jerusalem a holy city over three thousand years ago and through all that time Jews remained steadfast to it. Jews pray in its direction, mention its name constantly in prayers, close the Passover service with the wistful statement "Next year in Jerusalem," and recall the city in the blessing at the end of each meal. The destruction of the Temple looms very large in Jewish consciousness; remembrance takes such forms as a special day of mourning, houses left partially unfinished, a woman's makeup or jewelry left incomplete, and a glass smashed during the wedding ceremony. In addition, Jerusalem has had a prominent historical role, is the only capital of a Jewish state, and is the only city with a Jewish majority during the whole of the past century. In the words of its current mayor, Jerusalem represents "the purist expression of all that Jews prayed for, dreamed of, cried for, and died for in the two thousand years since the destruction of the Second Temple." What about Muslims? Where does Jerusalem fit in Islam and Muslim history? It is not the place to which they pray, is not once mentioned by name in prayers, and it is connected to no mundane events in Muhammad's life. The city never served as capital of a sovereign Muslim state, and it never became a cultural or scholarly center. Little of political import by Muslims was initiated there. One comparison makes this point most clearly: Jerusalem appears in the Jewish Bible 669 times and Zion (which usually means Jerusalem, sometimes the Land of Israel) 154 times, or 823 times in all. The Christian Bible mentions Jerusalem 154 times and Zion 7 times. In contrast, the columnist Moshe Kohn notes, Jerusalem and Zion appear as frequently in the Qur'an "as they do in the Hindu Bhagavad-Gita, the Taoist Tao-Te Ching, the Buddhist Dhamapada and the Zoroastrian Zend Avesta"-which is to say, not once. Israel succeeded in integrating millions of Jewish refugees from across the globe, including survivors of the holocaust, black Africans, hundreds of thousands of refugees from Arab states and Iran, and Palestinians fleeing persecution from neighbouring Arab countries. Israel developed the only democracy in the Middle East, and is the only state in the Middle East with an independent judiciary, free press, free speach and free elections. The only freely elected Arab parliamentarians in the Middle East are members of the Israeli Parliament. 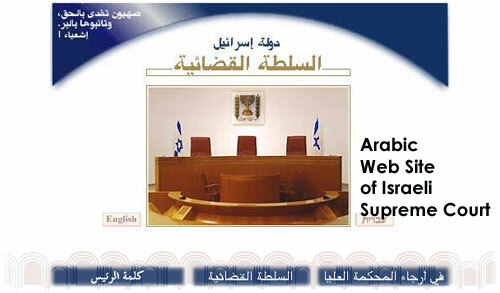 The only court in the Middle East from which an Arab or a Muslim can expect justice is the Israeli Supreme Court which is one of the most highly regarded in the world. Israel is the only place in the Middle East where an Arab or Muslim can freely criticize his government. Israel’s record on human rights is among the best, especially among nations that have confronted comparable threats including terrorism. Israel has accomplished all these in a mere 55 years and with a population growth rate of 800%. Israel 8th in per capita exports (YnetNews, Nov 8, 2005): "Israel was the number one exporter of certain goods, including fertilizers (57 percent share of total world exports,) industrial lubricants (34 percent share,) and polished diamonds (26 percent)." Don't worry, be Israeli: 82 percent of adults satisfied with life (Moti Bassok, Haaretz, Nov 7, 2005): "89 percent of 20-24 year-olds said they are satisfied with their lives"
"... I pray to Allah that we live to see the usurping Knesset [Israeli Parliament] collapse on the heads of the Jews ..."
"8 times its size in 1948." - one of the world's highest annual growth rates (3.92 p.a.). Kill a Jew for Allah. The Mideast problem. (John Derbyshire, NRO, Mar 22, 2002): "Look: Possibly there would be some abstract justice in closing down the settlements, I don't know. I don't see it myself, I must admit. Why should Jews not live among Arabs? Lots of Arabs live in Israel, and do very well there. There are rich Israeli Arabs; there are Israeli-Arab pop stars and comedians; there are Israeli-Arab intellectuals, teachers, writers, businessmen, athletes. Why, when the whole thing gets sorted out, should there not be Jews living in Arab territory — as there were for centuries past? What, exactly, is wrong with the settlements? I don't see it." Myth: United Nations Security Council Resolution 242 calls for immediate Israeli withdrawal to pre-1967 borders: Fact: Resolution 242 makes two points in relation to drawing borders in the Middle East. First, it calls for a "withdrawal of Israeli armed forces from territories occupied in the recent conflict." Notably, there is no article or modifier applied to the word "territories." This is in fact not a semantic detail; the omission was deliberate and meant to highlight the fact that there was no expectation that Israel would be forced to resume the pre-1967 borders. Efforts by Soviet First Deputy Foreign Minister Vasily Kuznetsov failed to convince the council members that adding the word "all" would be productive; the Security Council rejected the Soviet draft and unanimously adopted the British-drafted text as Resolution 242. Moreover, Resolution 242 calls for "Termination of all claims or states of belligerence and respect for and acknowledgement of the sovereignty, territorial integrity and political independence of every State in the area, and their right to live in peace within secure and recognized boundaries free from threats or acts of force." Such recognition by the Arab powers of Israel's right to peaceful existence has never occurred. Eugene Rostow, Sterling Professor Emeritus of Law and Public Affairs at Yale University and Chairman of the Interdepartmental Control Group responsible for shaping U.S. policy in the Middle East at the time, wrote, "until the states concerned in the dispute make peace in accordance with Resolution 242, the Security Council decided, Israel could remain in the territories it held after the Six Day War as occupying power. The legality and legitimacy of its presence as occupying power is thus certified by the Security Council." From "occupied territories" to "disputed territories" (Dore Gold): "The politically-loaded term "occupied territories" or "occupation" seems to apply only to Israel and is hardly ever used when other territorial disputes are discussed, especially by interested third parties. For example, the U.S. Department of State refers to Kashmir as "disputed areas. Similarly in its Country Reports on Human Rights Practices, the State Department describes the patch of Azerbaijan claimed as an independent republic by indigenous Armenian separatists as "the disputed area of Nagorno-Karabakh." "The legality of Israel's presence in Jerusalem, Judea, Samaria and Gaza has been the subject of heated argument since 1967. Some regard these areas as illegally occupied, others as disputed territories and there is an obvious need for clarity if the subject is to be discussed rationally in terms of facts rather than assumptions." Does Israel Need a Plan? (Daniel Pipes, Commentary, Feb 2003): "Much as the Israelis have to gain from a victory over the Palestinians, the Palestinians have more to gain from defeat. From the point of view of American policy, helping them to achieve a change of heart is thus an unobjectionable goal, beneficial to both parties. And while ultimately it is up to the Palestinians to liberate themselves from the demons of their own irredentism, others, especially Israelis and Americans, can indeed help—by holding firm against the seductive appeal of road maps that lead exactly in the wrong direction." Israel and Gaza (Professor Louis Rene Beres, Washington Times, May 27, 2004): "the Hague Regulations disallow placement of military assets or personnel in heavily populated civilian areas. Further prohibition of perfidy is found in Protocol I of the 1977 addition to the Geneva Conventions of 1949, and it is widely recognized that these rules also are binding on the basis of customary international law. Perfidy represents an especially serious violation of the Law of War, one identified as a "grave breach" in Article 147 of Geneva Convention IV. The full legal effect of perfidy committed by Palestinian terrorist leaders is to immunize Israel from any responsibility for counterterrorist harms done to Arab civilians. All combatants, including Palestinian terrorists, are bound by the Law of War of international law. This requirement is found in Article 3, common to the four Geneva Conventions of Aug. 12, 1949, and at the two protocols to these Conventions. Protocol I applies humanitarian international law to all conflicts fought for "self-determination," the stated objective of all Palestinian fighters. This protocol brings all irregular forces within the full scope of international law. Israel has both the right and the obligation under international law to protect its citizens from criminal acts of terrorism. Should it ever decide to yield to Palestinian perfidy in its indispensable war against escalating Arab violence, Israel would surrender this important right and undermine this fundamental obligation." Without distinction - attacks on civilians by Palestinian armed groups (Amnesty International): "The deliberate killing of Israeli civilians by Palestinian armed groups amounts to crimes against humanity. As defined in the Rome Statute of the International Criminal Court, crimes against humanity are various acts committed as part of a ''widespread or systematic attack directed against any civilian population'', ''pursuant to or in furtherance of a State or organization's policy to commit such attack''. (71) The specified acts include murder, torture and ''other inhumane acts of a similar character intentionally causing great suffering, or serious injury to body or to mental or physical health.'' (72) Crimes against humanity do not require a link to an armed conflict - they can be committed either in peacetime or in wartime. The deliberate killings of Israeli civilians by Palestinian armed groups and individuals are both widespread and systematic, and are perpetrated as part of a publicly announced policy to target civilians. They therefore satisfy the definition of crimes against humanity included in the Rome Statute of the International Criminal Court, which is recognized as reflecting customary international law. War crimes and crimes against humanity are among the most serious crimes under international law, and represent offences against humanity as a whole. Bringing the perpetrators of these crimes to justice is therefore the concern and the responsibility of the international community. This view is illustrated in the Preamble to the Rome Statute of the International Criminal Court, adopted in July 1998, which affirms that the most serious crimes of concern to the international community as a whole must not go unpunished and that their effective prosecution must be ensured by taking measures at the national level and by enhancing international cooperation. Stuck on a Barrier That's Not on the Road Map (Charles Krauthammer, Washington Post, Aug 8, 2003): "There have been nearly 100 Palestinian suicide bombings. 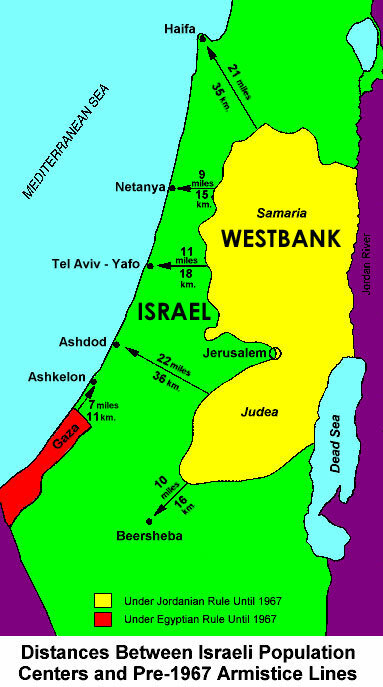 All the terrorists came from the West Bank, where the barrier is being built. Not a single one has come from Gaza. Why? Because there already is a fence separating Gaza from Israel. ... In America, we build stretches of fence along the Mexican border to prevent foreigners from coming in to take jobs. It takes a lot of audacity to demand that Israel stop building a fence whose purpose is to prevent foreigners from coming in to commit mass murder. As part of the propaganda campaign against the barrier, it has been called a wall. In fact, it is a fence, with electronics on either side to prevent infiltrators. It is wall-like for only about a tenth of its length -- in just two places, both along the Trans-Israel Highway. Why? Because Palestinian gunmen had been shooting from Palestinian territory onto the highway and killing innocent Israelis." Palestinian Pretense & Israeli Reality. What the world knows, but can’t say, to be true (Victor Davis Hanson, NRO, Mar 18, 2003): "Much of the problem, then, quite simply is also psychological and arises because a Jewish state is right smack in the middle of the Arab world — and by every measure of economic, political, social, and cultural success thriving amid misery. Without oil, without a large population, without friendly countries on its borders, without vast real estate, and without the Suez Canal, it somehow provides its citizenry with a way of life far more humane than what is found in Syria, Iraq, Lebanon, Jordan, or Egypt. Yet the world listens to the Palestinians' often-duplicitous leadership — despite the corrupt nature and murderous past history of Mr. Arafat's regime — because its sponsors sell a good part of the globe's oil. And to risk their wrath, one would have to support a few million Jews, not hundreds of millions of, say, British, Swedes, or Italians. And so we give not a damn over millions of innocents elsewhere butchered over millions of acres each year worldwide, but instead focus on what the Palestinians lost while attempting to destroy their neighbors."